Conductr is a newcomer on the scene from Barcelona. Still in development, a release is expected this summer. It already sports an aesthetically-pleasing design and clever gestural modes that make it easier to quickly get access to parameters you need. But it faces a tight field of entrants. The “live” in Ableton Live suggests making musical decisions in real time – not slowly with painstaking editing, stopping and editing and drawing, but as you listen and work. 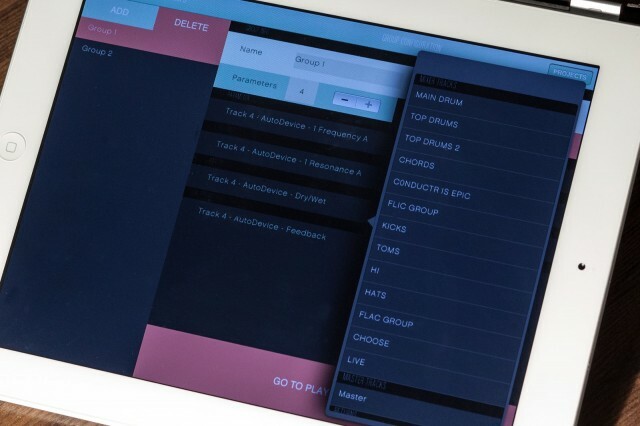 But while the onscreen interface is built around the mouse, and the precision of the mouse, focusing on those settings in performance, DJing, or studio work really wants something else. So, you have two choices. 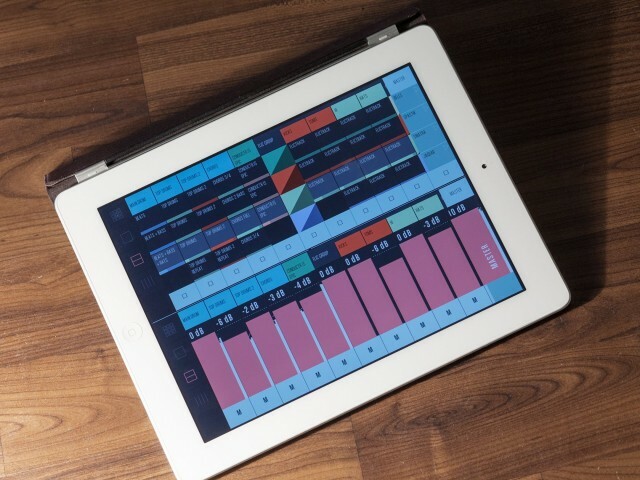 One is to use external physical control, like a conventional MIDI controller or the just-released Ableton Push. And that works very well for many people. Or, you can use a touchscreen. The advantages of the screen approach: you can easily see clip names (either impossible on external hardware or limited to a slim display), and you can more flexibly navigate lots of different parameters. But there’s more. In Barcelona, Conductr made its first public debut, offering its own take on usability and with some interesting ideas about how to make controllers more accessible and playable. 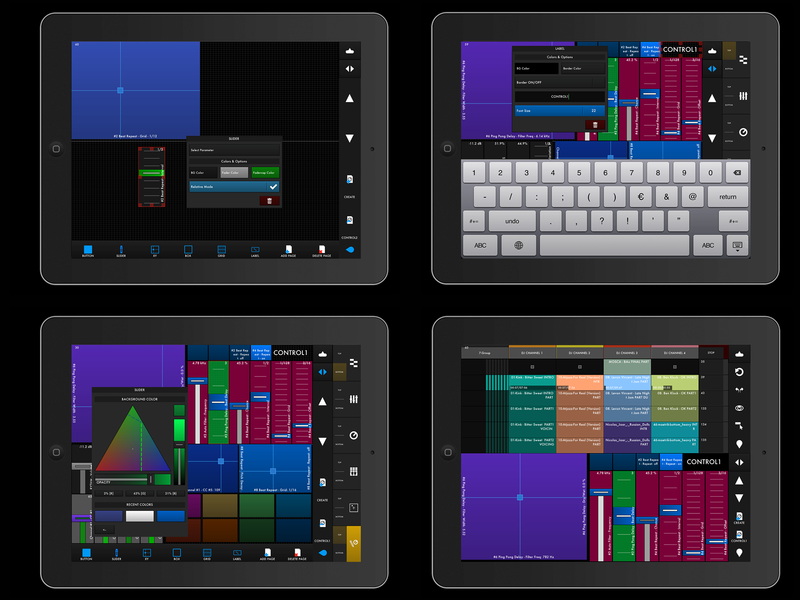 Long-time favorite touchAble, popular for its extensive controls for Live, is working on a feature that will allow you to edit your own controls. 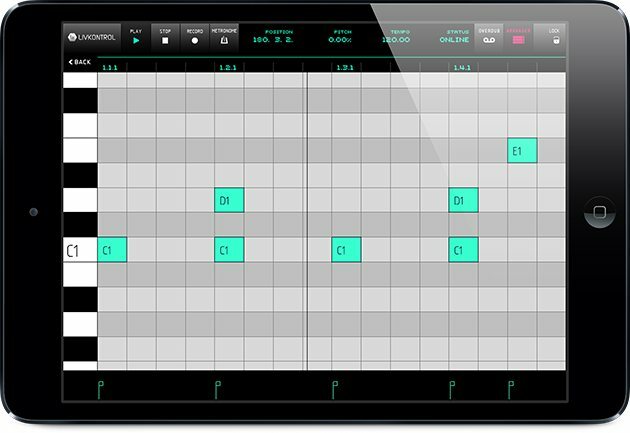 And LivKontrol, early out of the gate with pattern editing, is now the first major controller to be specifically designed for Android-using Ableton Live musicians. 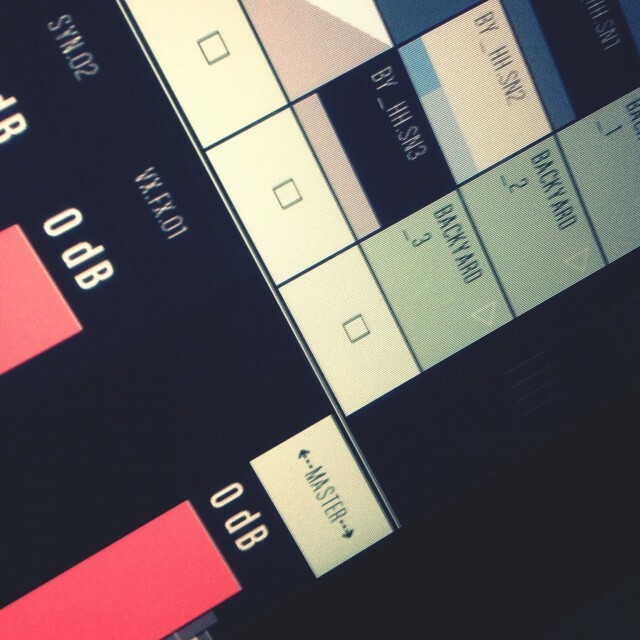 LivKontrol for Android is available now; the other two are nearing release. Let’s have a look at what they offer. Conductr’s layout is semi-modular, like some of its rivals. Custom group configuration is one of the selling points behind Conductr, letting you grab parameters from anywhere in a set and focus exclusively on those. 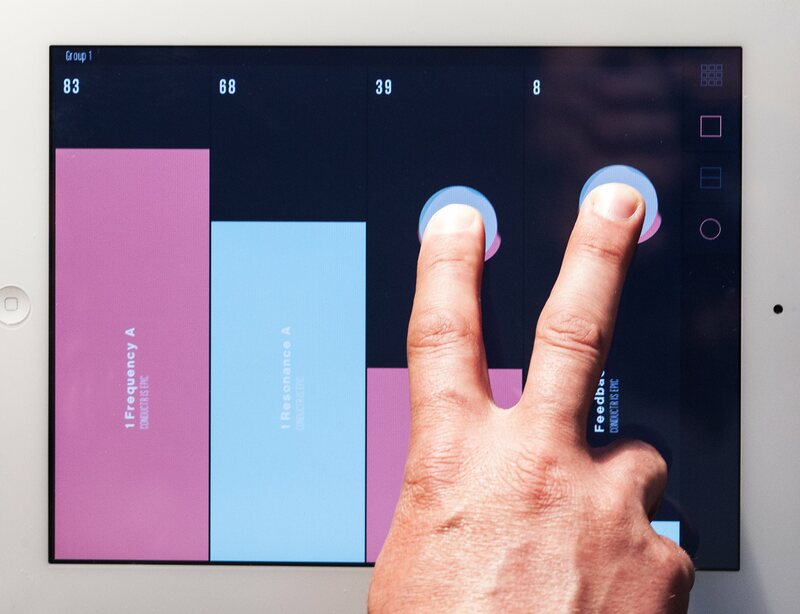 Special gestures mean you can select one parameter without even looking at the screen – two fingers give you the second fader, for instance. 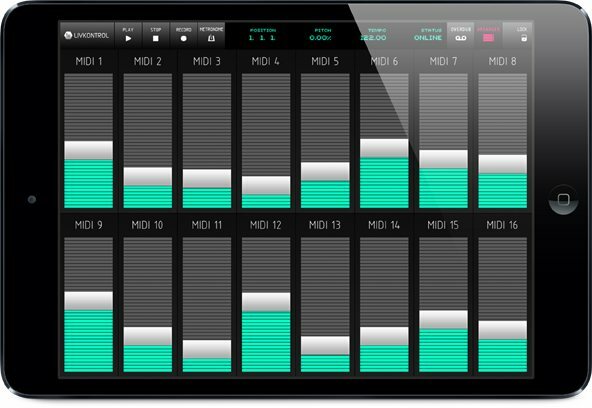 Conductr is an upstart would-be rival to existing Live controllers on the app markets. 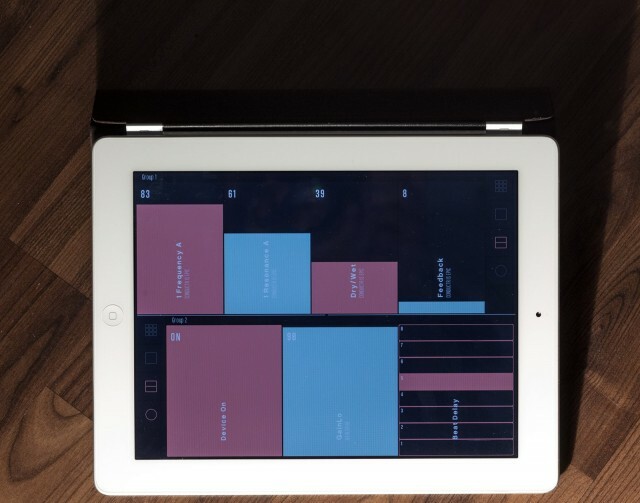 Developed in Barcelona, Conductr does a lot of the things the others do – it has minimal, geometric colored graphics, focuses on the Session View portions of Live, and uses a semi-modular layout to divide sections of the screen into layouts (like, notably, touchAble has). But as I got to try it in a hands-on session at SONAR, a number of unique features came out. I remember seeing The Glitch Mob with their Lemur controllers onstage. One thing this band did – juggling percussion and other instruments – was to reduce their Lemur layouts to just a few controls on screen. They opted for oversized buttons and faders in place of lots of delicate, fiddly controls. Here was this advanced hardware, doing as little as possible. But there’s some sense to that. If you are playing another instrument, if you are working feverishly onstage, you don’t want the kitchen sink controls you might use in the studio. You want to be able to make a big gesture and know it’ll work. Fingers-on test of Conductr. 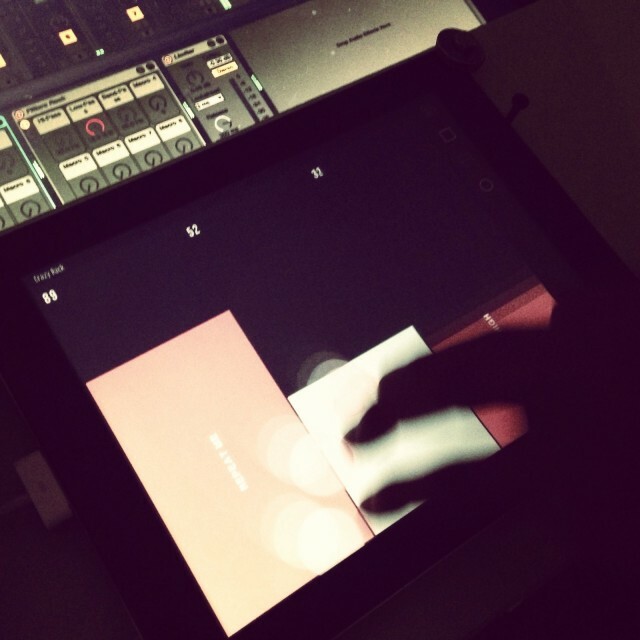 Multi-finger gestures give you control over specific faders in an optional mode – and it works well enough that it’s one of the only times you can use an iPad without looking at it. They also say they envision Conductr as a platform; in-app purchases will unlock other, purpose-specific modules. That seems reasonable; apps often languish in the long run economically without a reason for developers to continue investing. If Conductr can offer enough functionality out of the box, doing specialized modules could help the app grow – and grow in usefulness – with time. New editing modes in an upcoming touchAble upgrade. 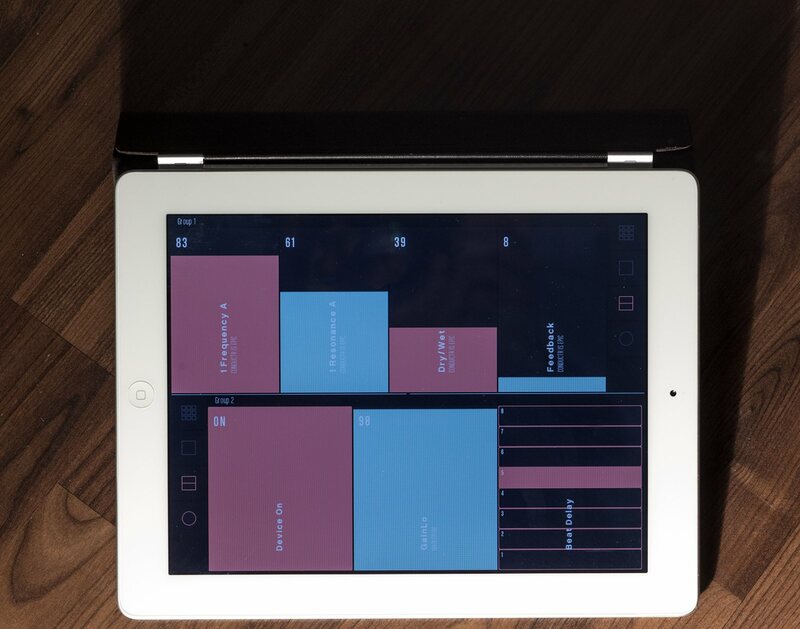 We’ve promised some information about our upcoming v2 of touchAble – so here we go! The Edit Module will allow you to create your own interfaces using XYPads, Sliders and Buttons. Select any parameter of the current Live Set or choose any MIDI CC or Note for your Control, label & color it as you wish – and use it in combination with any other module as a half or fullscreen view. Your interfaces can consist of as many pages as you wish – and can easily be saved, loaded or created! Sorry it is taking so long guys – but we promise the update will pay you all back for your waiting time! LivKontrol is perhaps a lesser-known option in this market, but its unique design approach makes it worth a look. Whereas other apps tend to be inflexible when switching screen sizes or orientation, LivKontrol lets you set up universal layouts you can use anywhere. Controls are more minimal, but that’s a selling point, I think; the layout is atypically clean and friendly. LivKontrol also debuted the ability to edit patterns directly, with a view that looks quite like the one you see onscreen in Ableton. And now, it’s done something no other app has: there’s an Android version (see photo, below). If you’re an Android user or even if you have a mix of gadgets, that could be the only selling point you need. In fact, the one conspicuous absence remains Ableton themselves. But with so many different tools, it’s easy to expect the third-party market will continue to serve their users in some capacity. So, faderboxes, apps, what do you use?